Or in this case soil? In most species the makeup of the gut is determined by genetics. However, a recent study shows that this is not true for baboons. Previously, studies have shown that the baboons' microbiota differs across populations. Researchers started to question whether this was caused by genes shared with relatives, the distance between populations or possibly the environment. How did they conduct their analysis? Well they had the dirty job of collecting poop from 14 different baboon populations all across Kenya. Not only did they collect their poop they analyzed it along with looking at 13 different characteristics of the environment of where it was collected. As it turns out, soil has the greatest impact on the makeup of the baboons' guts. It predicted the differences of the microbiota in different populations three times better than the distance in between the populations and a whopping 15 times better than genetics. This is fascinating because it brings a whole new meaning to "you are what you eat". I didn't realize how much soil baboons consume until realizing that a lot of the leaves, fruits, seeds and insects they eat are either covering in a dusting of soil or are straight off the ground. Across Britain's many Neolithic archaeological sites, researchers have extracted DNA and compared it with Neolithic DNA throughout Europe. They were able to determine that the humans inhabiting Britain at the time descended from people in what is now Turkey. There was a great migration in 6000 BC, with people migrating up into Eurasia, and others moving along the Mediterranean. Genetic evidence shows that the Mediterranean group were the British settlers, arriving in 4000 BC. They would have encountered native hunter gatherers on the island, whose population went into steep decline after their arrival. Genetic analysis has shown no mingling between the two groups. The Neolithic farmers were well equipped to survive in Britain, and quickly outnumbered the hunter gatherers, likely due to agriculture. 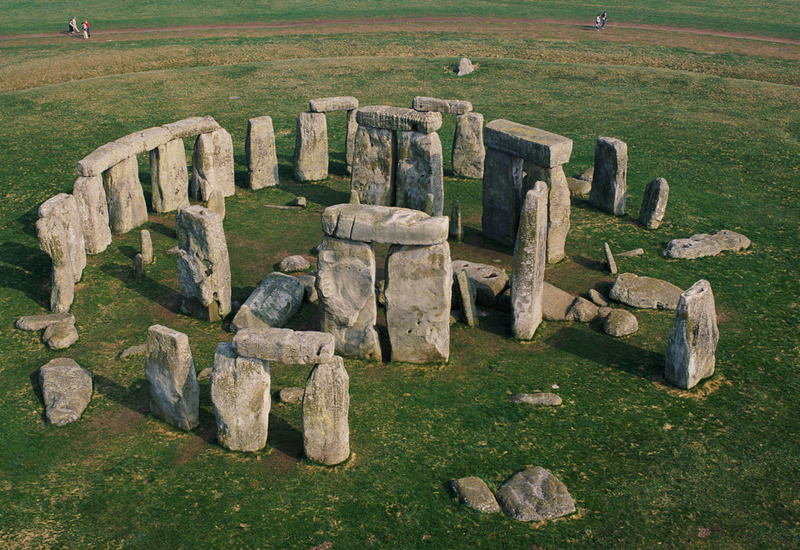 They are also believed to have introduced the practice of building megaliths such as Stonehenge. However, they were practically wiped out as well in 2450 BC when another migrant group from Europe displaced them. I find it interesting that there were two big genetic shifts in the population over only a few thousand years. Since Britain is an island, these genetic changes were more drastic. While the Neolithic farmers had brown skin and brown eyes, later immigrants like the Beaker Folk and Anglo-Saxons had paler skin which is now predominant. Superbugs are known as Gram negative bacteria that are causing a global health crisis.According to the Centers for Disease Control at least 2 million people contract and antibotic resistance infection. because there are no antibiotics for some gram negative infections, Kahne says that "learning how the outer membrane is assembled and how to interfer with assembly has major medical implications". Within the cytoplasm the molecule ATP provided enough energy to produce the LPS building blocks and move them around the cell.Therefore the more that scientist know how gram-negative bacteria build there outer membrane the closer they will get to dismantling there defense. In an attempt to better understand the evolution of the human brain, researchers in China successfully transplanted a human gene for larger brain size into macaque monkeys. They used CRISPR technology to insert the human microcephalin gene into monkey embryos. Of the eleven monkey embryos that successfully received the gene, only five survived. The brain sizes did not increase, although they did take longer to develop, as in humans; the monkeys also performed significantly better on a memory test. This type of experiment could not take place in the West because there are restrictions when working on intelligent animals due to ethical reasons. Western scientists in the article described how giving an ape more intelligence is cruel because it would be above all apes, but below all humans, giving it no meaningful existence. Even though I love to see advancement in our understanding of human evolution, I believe that there is an ethical dilemma to altering the brain of an intelligent animal. There are other ways of furthering our knowledge of evolution, through archaeology, anthropology, and geology, to name a few. In genetic engineering, the rise of CRISPR technology has led to numerous breakthroughs in editing DNA sequences. With CRISPR sequences, they are able to cut out fragments of DNA with the help of the Cas9 enzyme. The gene editing capabilities mean this tool can be useful for a variety of problems, including genetic disorders. However, Jennifer Doudna, one of CRISPR's creators, one of CRISPR's creators, believes the biggest impact will be in the food industry. Her reasoning is that the CRISPR method is faster and cheaper than current methods, including GMO's. The CRISPR tool allows one to be more precise when editing DNA, which saves time and money. Corporations like Monsanto are heavily funding the advancement of research in this technology, and Jennifer Doudna predicts we will see CRISPR modified produce in stores within five years. Many startups have arisen as well with the goal of producing meat using CRISPR. It could be created using the DNA from a cell, meaning no animals would be killed. As far as regulations, there should not be many obstacles. The USDA decided that in any circumstance in which the DNA editing could have been done using traditional methods, no extra regulations are required. I am a proponent of this technology for the reasons stated, as well as the environmental benefits of replacing livestock with synthetic meats. It could help to prevent deforestation as less farms will be needed. Fewer ecosystems would be destroyed and replaced with corn monoculture. Researchers at the German Center for Neurodegenerative Diseases and the Technische Universitat Dresden are looking at zebra-fish in hopes to shed light on some Alzheimer treatments. An article from ScienceDaily is reporting that by looking at the zebra-fish, and specifically the amyloid-b aggregates we can see how we can regenerate brain tissue. Because zebra-fish are able to regenerate tissue much better than humans the researchers are hoping that we can translate that over to mammals and eventually humans and regenerate brain cells. In an article written by Rachael Rettner, she talks about a recent study on a bacteria called A streptococcus flesh eating bacteria. The researchers have found the bacteria survival is aided by special proteins called transporters which help feed the microbes in the muscle tissue. These disease are rare but deadly, causing death in up to one third of patients who develop the disease, this is a large perecent. These researchers uses a technique that allowed to deactivate the bacteria genes one by one.They found that, out of the bacteria 1,800 genes 72 genes were key to its survival in necrotizing myositis. 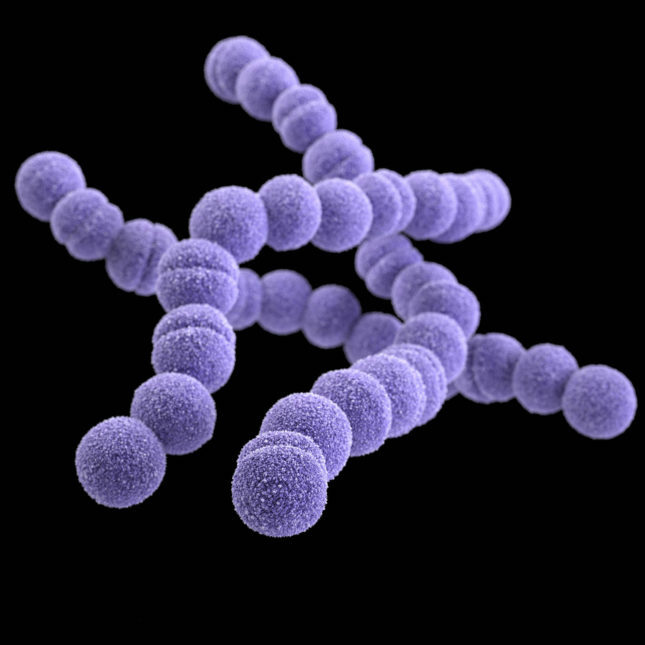 The bacteria that's lives in our body is very different from this bacteria.For example the bacteria use to survive in people with strep throat are very different from those that are used for infections in muscles. It has been found that the Bajau people, who reside in scattered communities in Indonesia, Malaysia, and the Philippines, may have evolved traits that make them better divers. The Bajau people dive for their livelihood, and have been doing so for centuries. Many have noticed that the Bajau people are more gifted than others in diving, as the Bajau people were observed to be able to dive more than 200 feet with their only equipment being wooden goggles. Dr. Melissa Ilardo, a geneticist, set out to study the people to see if they had, indeed, evolved traits that could aid them in diving. She visited the villages of the Bajau people and measured the size of their spleens, which have been found to play a key role in how deep an organism is able to dive. The larger the spleen, the deeper an organism is able to dive. Dr. Ilardo measured the spleens of nearby farmers that were not Bajau, and she compared the sizes to the Bajau people. She found that the spleens of the Bajau people were 50% larger than the spleens of the neighboring farmers. After conducting a DNA test, it was also found that the Bajau people shared a number of variant genes, which further suggested that natural selection had taken place within the population. A variant of a gene, PDE10A, was found within the DNA of the Bajau people; this variant influences the size of spleens. The more copies one has of the PDE10A variant, the larger that person’s spleen will be. The studies performed are not conclusive, however, and more research needs to be performed on the matter. I found this article to be really interesting. The evolution between groups of people intrigues me, as it sounds amazing that a certain group of people can evolve to have a set of traits from other humans that help them survive better under certain conditions. It seems that, compared to humans like me, who live in a more neutral environment, it is as if the Bajau people have a biological advantage. The fact that the Bajau people are able to dive to depths of over 200ft, and at that rate, are able to hold their breath for long enough to dive that far down, shows how far the limits are that the human body can be pushed to. I also found it very heartwarming that the researcher who was performing the studies had such love for her research, and was so passionate as to travel all the way to the islands that the Bajau people live on in order to perform tests. Reading about how interesting the evolution of the Bajau people was, and how much Dr. Ilado loved her job, it made me imagine how fun it must be to be a geneticist researching the biological evolution of groups of humans.